This is a generic guide for setting up a personal HTTP file server for accessing files over WiFi on your Nokia N8 or any other WiFi enabled device. You can share a specific drive on your PC (host) and this server generates a directory listing for the same. The directory listing page will be accessed via the web-browser on the URL (http://<yourIPonhomenetwork>:<port>/). Each folder/file appears as a link that you can click and navigate.There are no file size restrictions. Download Abyss Web Server X1 (Free Personal Edition) and install on your host machine (your desktop or laptop). 1. After installing, you will see a pop-up asking you to install it as a Windows Service. Choose the option for Windows Service and immediately after that the server console will open with this URL (http://127.0.0.1:9999/). Select the preferred language. 2. You will now have to specify a user account for logging into the server console. Remember this is not a user account for accessing the folder structure later. 3. 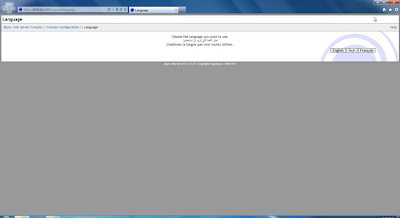 As soon as you create a user, the page would reload and a login window will appear. Provide the user details that you just created. This will open the server console. 4. 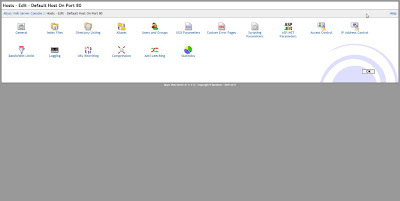 On the webserver console, click on 'Configure' located along side the host entry. 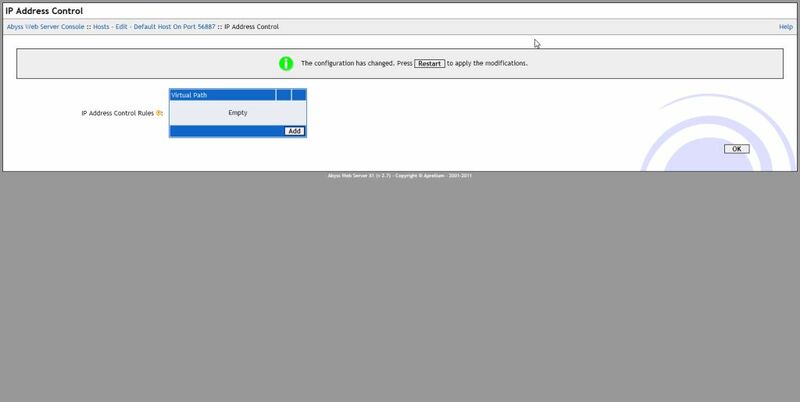 This will further open the console with more options for configuring the host. 5. Click on the 'General' option. 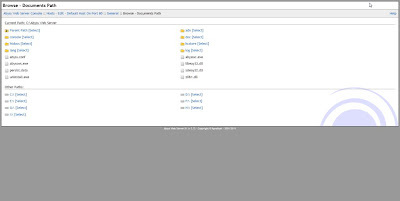 This will let you specify the folder that you wish to be able to access via a directory listing on your mobile device. You will also be able to change the default port from 80 to any other of your choice. 6. 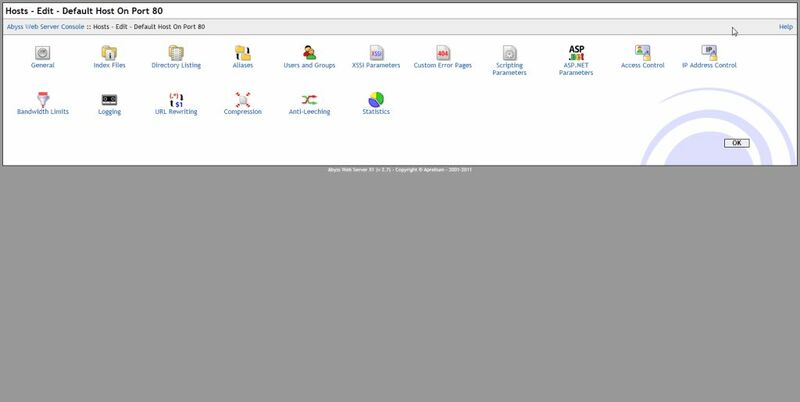 After clicking on OK in the above step, you will be back to the host configuration console. 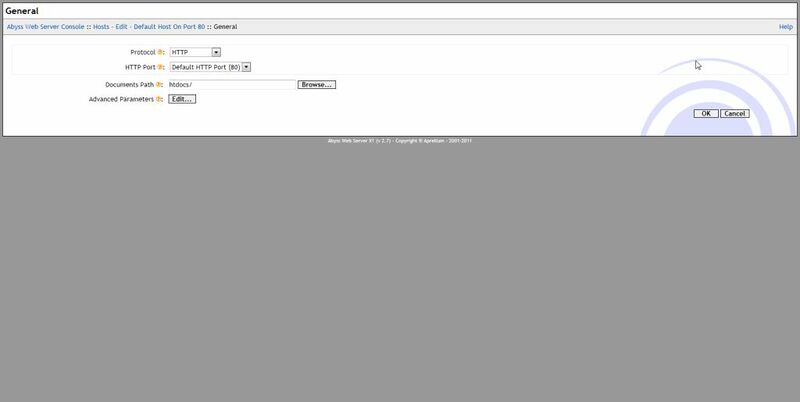 Now click on IP Address Control option. This will open the options page for specifying the ip range you want to restrict the server usage. I have used 192.169.1. * that will allow devices that on my local network. This is an optional step as it is very unlikely for other devices to access your server without specific firewall exceptions. 7. 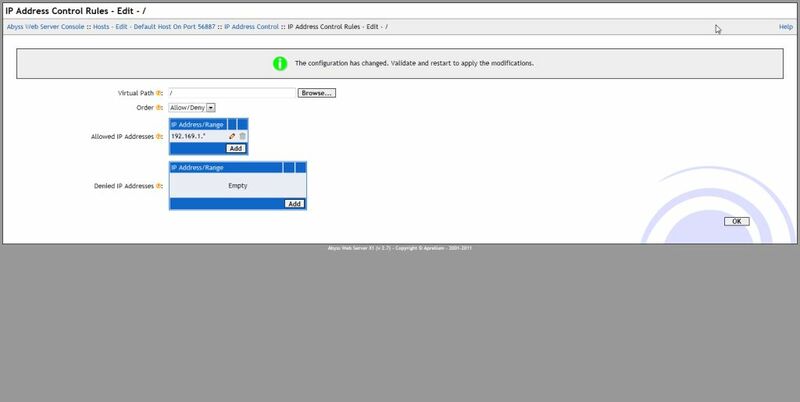 After clicking on OK in the above step, click on Restart Server to implement the configuration changes. The new port should now reflect in case you changed it. 8. 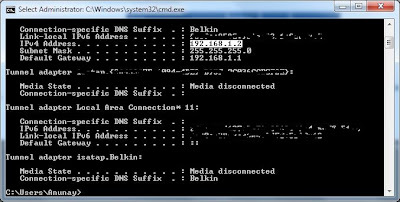 Now check your ip by typing ipconfig in the dos command window. 9. 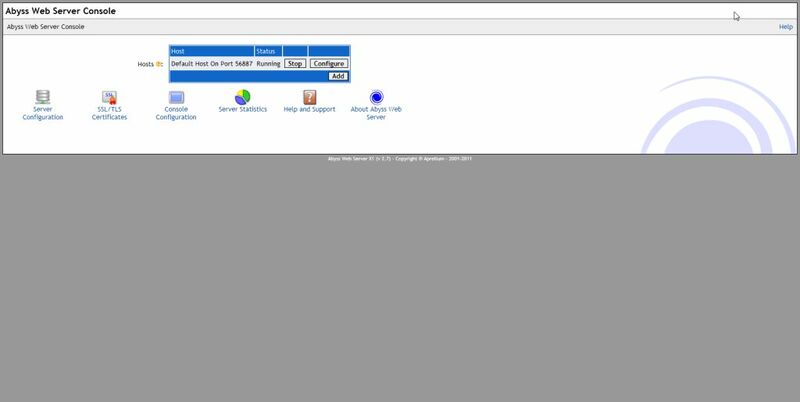 Now combining the ip and port, the access url for HTTP File Server becomes - http://192.168.1.2:56887. If I had not changes the port the this url would have been http://192.168.1.2:80. 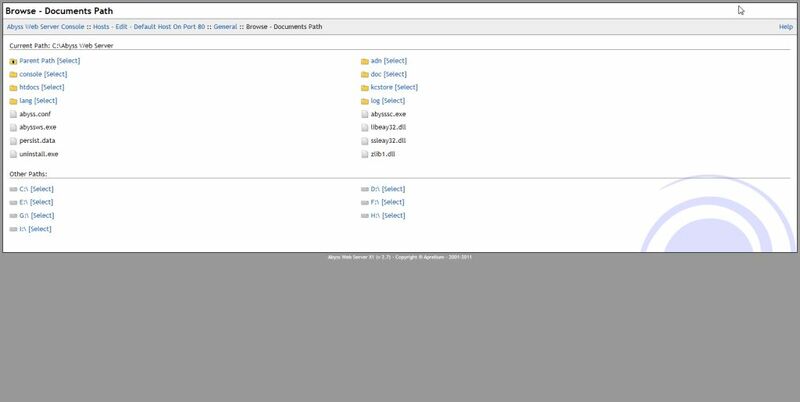 Once you hit this url, you should see all the directory/files listed like in the image below.